How do you know if you need to replace a SafeGuard seat after a school bus crash? You'll find our handy guide below. 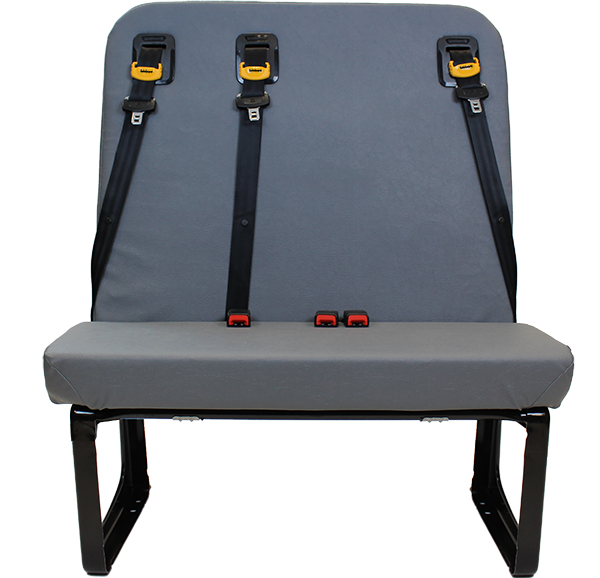 Following any crash, you should have the bus structure, seat and restraint systems inspected by a qualified technician. 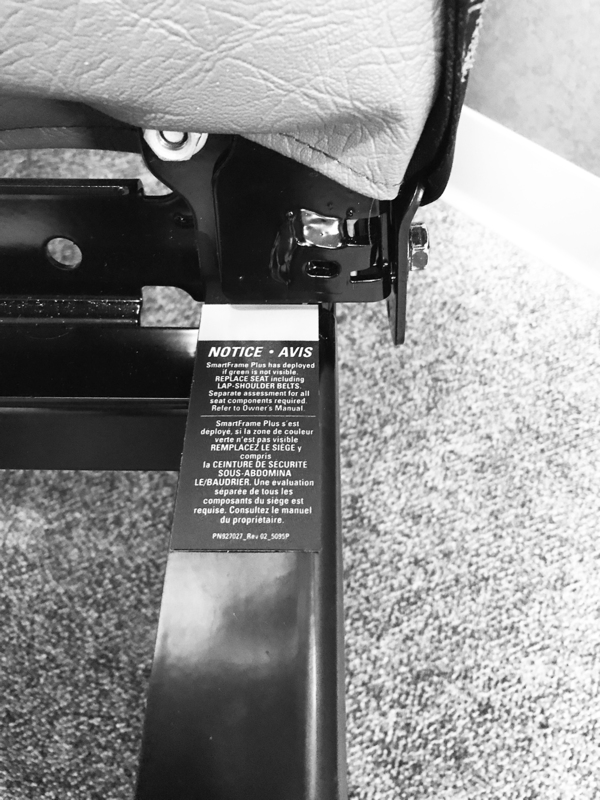 If your SafeGuard Seat utilizes SmartFrame Plus™ technology it will have a sticker under the seat cushion on top of the side frame members. This sticker can help determine if the seat needs to be replaced. The SmartFrame Plus inspection is independent of the inspection performed on the rest of the seat or restraint system. A separate assessment for all seat components is required regardless to whether the SmartFrame Plus has been deployed. 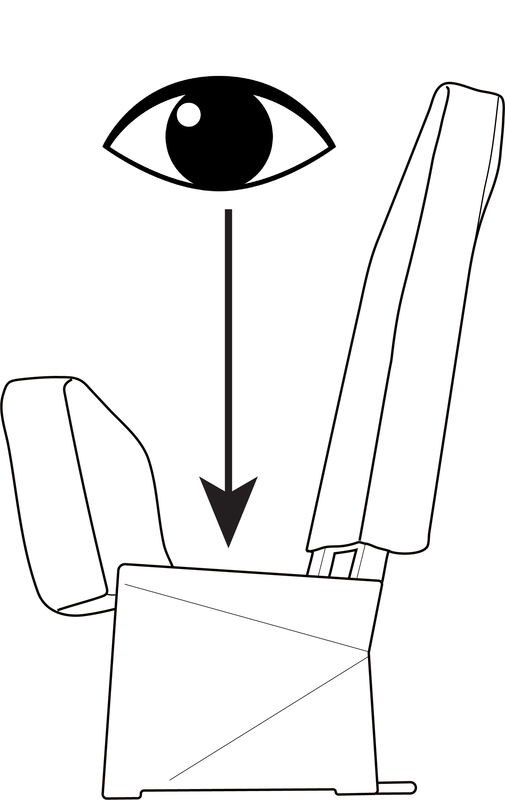 Find the label on the top of the lower seat frame (Fig. A). If it is covered you should replace the ENTIRE SEAT. Inspect frame members and welds for damage, signs of failure or corrosion. Any permanent deformation to the frame will require replacement. Inspect that all attachment fasteners are present and secure. Inspect vinyl covering for cuts, tears or punctures that expose seat cushion or seat back foam. Inspect foam for cuts or missing sections. Verify that no portion of seat frame can be felt through foam. Foam at the lower rear sides is an energy absorbing foam with a one-time use. 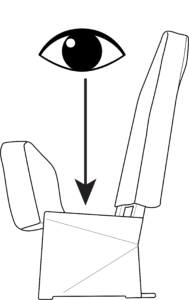 Any compression to the foam by a body or object requires that the entire seat back foam be replaced. Inspect for tight fit of seat cover over all foam. Replace foam if covering is loose or bagging. Replace foam if any localized collapse of foam exists. All belts and webbings worn in a crash should be inspected for complete functionality. Any device not completely working as designed should be replaced. Inspect belt on entire system for cuts, fraying, abrasion, and extreme or unusual wear. Inspect buckle for proper operation by inserting latch plate and listening for an audible click. Verify the buckle is not damaged cracked or broken. Inspect seat belt latch plate for proper operation by inserting into buckle. Latch plate must insert smoothly and produce an audible click Verify proper latching by tugging on the belt Latch plate must not be worn, deformed, or corroded. Inspect chest clips for damage and operation. Chest clip halves should not be damaged, cracked or broken. Clips should engage and disengage smoothly with each other. Move clip halves up and down. They must move freely. Inspect seat belt height adjuster for damage. Move adjuster up and down. It must move freely. Inspect retractor operation. When pulled and released slowly, webbing must spool out and retract without locking. Inspect mounting hardware at each restraint attachment point. Hardware should be tight. Hardware must not be missing, rusted, corroded, or damaged. If any of these conditions develop or exist on your SafeGuard Seat, it will require repair or replacement of the affected parts immediately, regardless the age of the seat. See your OEM school bus dealer or authorized SafeGuard bus seat dealer for replacement parts.